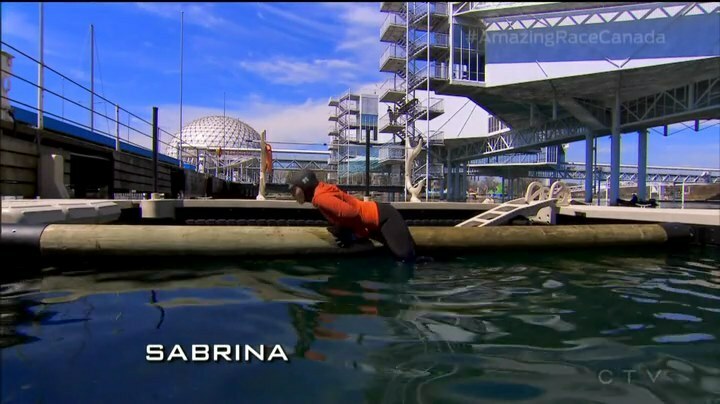 Recap: The Amazing Race Canada 3, Episode 1 – "I'd rather take a puck in the face." 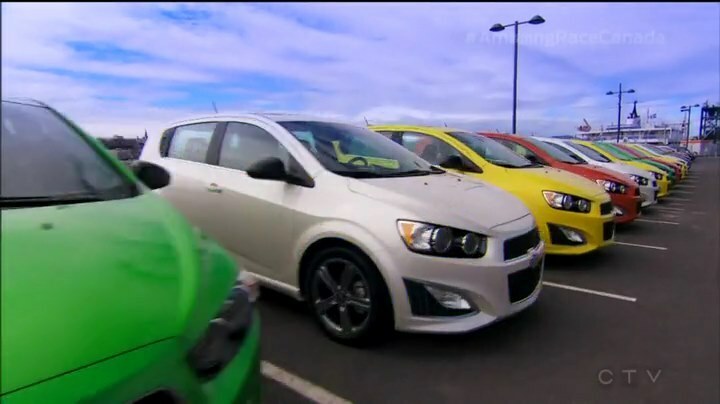 The Amazing Race Canada 3, Episode 1 – Who’s Feeling Sporty Now? 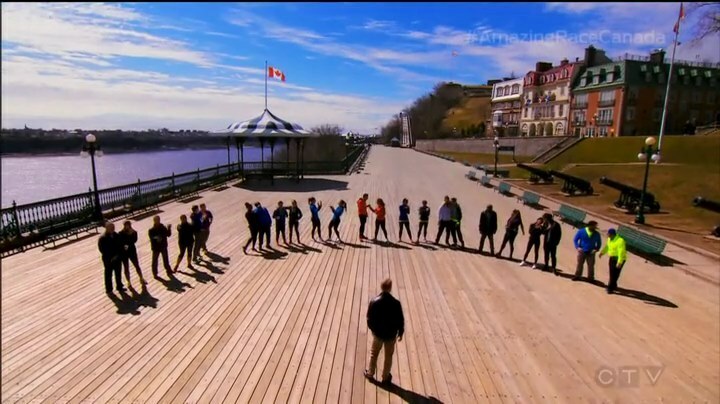 The third season of The Amazing Race Canada begins as horse drawn carriages bring 12! teams to the Starting Line at Dufferin Terrace at the Chateau Frontenac in Quebec. Jon tells them the grand prize: A year of Business Class travel for 2 to anywhere Air Canada flies, two 2015 Chevy Colorados, gas for life from Petro Canada and $250,000. That is more than $1 million worth of prizes, the most in Canadian TV history. Jon wishes them luck and sees them off as the Race begins. Teams run over to their first clues pointing them to the cluebox at Quai 22. Dana & Amanda are first and open the clue giving them a combination that will unlock a pair of bicycles. They will then ride the bikes onto a ferry to Levis where they will find brand new 2015 Chevy Sonics. Each car is numbered and the lower the number, the earlier the flight vouchers to their first destination. The other teams quickly arrive and Gino & Jesse manage to unlock their bikes first. Brent & Sean get their bikes on their first try, but miss the first ferry. Sean vomits. Nic and a tired Sabrina arrive at the bikes in last. Teams must now fly to Toronto, Ontario on one of two flights. But that doesn’t matter because their first Route Marker in Toronto, the St. Lawrence Market, opens at 8am. Next morning, teams must solve a word scramble to figure out the next clue is waiting for them with the butcher at Center Street and Market Street inside the market. They will also receive their BMO World Elite MasterCard to use on the Race. Gino & Jesse and Susan & Sharnjit are in the lead as they get the next clues pointing them to the TSN Studios where they find the first Road Block of the Race: Who’s feeling sporty? For this Road Block, teams will get a chance to anchor TSN’s Sportscentre with sportscaster (and Amazing Race Canada reunion host) James Duthie. With some help from host Kate Beirness, teams will need to master reading, pronunciation, timing and knowing which camera is on them to receive their next clue. Jesse and Susan do the Road Block, but fail on their first attempts. All the other teams (except Brent & Sean, who left the market 3rd) arrive next. Simi, Dujean, Brian, Dana, Nic, Elias, Neil, Hamilton and Matt decide to do the road Block. Being a champion football player, this is definitely not the first time Neil has been at a TSN sports desk. He’s even had his own show. But he fails his first attempt. Brent & Sean finally arrive as Jesse finally passes after his 4th attempt. Nic is on his 2nd attempt, but is thrown off by the teleprompter. He figures that he can read off his script instead while the clips are playing and that gets him and Sabrina out of TSN in 2nd. Teams must now make their way to Atlantis at Ontario Place where they find the 2nd Road Block: Now who’s feeling sporty? 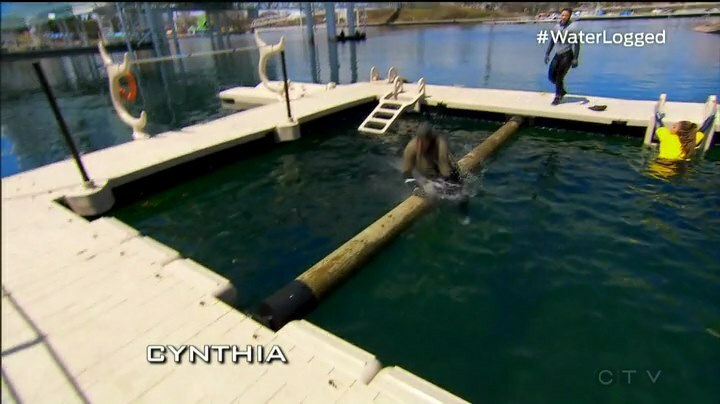 For this Road Block, teams must complete a three-part water based obstacle course including traversing a 120-foot cargo net, walking a narrow plank to take a three story dive and crossing a rolling log to cross the finish line. As Gino confidently starts the Road Block, Simi (after her 5th attempt), Brent (after 4th) and Hamilton (after 5th) pass at TSN. Sabrina gets started on the Road Block and is terrified, especially since she is not athletic at all. On the other side, Gino quickly finishes and he and Jesse head to centre court at The Air Canada Centre, the Pit Stop for this Leg of the Race. Gino & Jesse officially check-in first and win a trip for two to Rio de Janeiro, Brazil and six months of free gas from Petro Canada. Sabrina crawls over the rolling log and get the next clue. She tells Nic that they must never speak of this task ever again. Simi encourages her father Ope who fights off his fear of water. But Brent and Michaela pass Ope on the rolling log. Nic & Sabrina finish 2nd, Brent & Sean finish 3rd and Hamilton & Michaela take 4th. Simi & Ope have to settle for 5th. 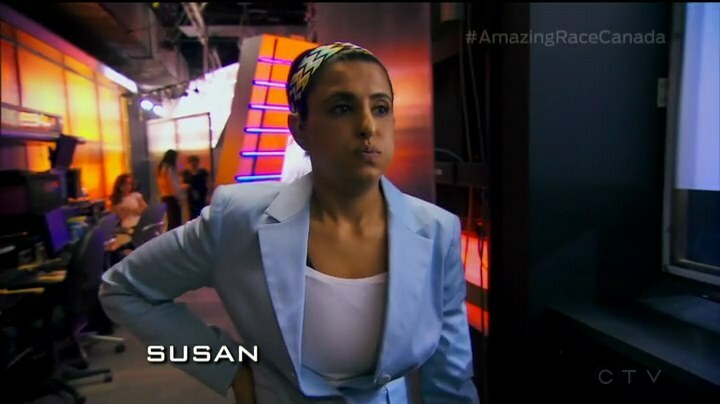 Back at TSN, Susan finally passes after her 10th attempt. That leaves Max & Elias in last. Elias is struggling because he has dyslexia. He finally gets it after his 23rd attempt. Nick & Matt finish 6th, Dana & Amanda are 7th, Dujean & Leilani are 8th and Brian & Cynthia finish 9th. Neil & Kristin take 10th. The show is making it seem like the last two teams are neck and neck. But Susan & Sharnjit have obviously as Max is on the obstacle course. Susan & Sharnjit finish as Team #11. That means Max & Elias are 12th, last and eliminated. 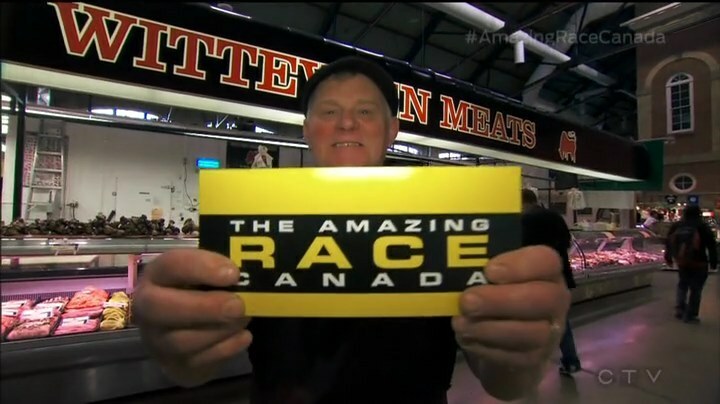 And The Amazing Race Canada has begun once again! I… I guess this was just an okay premiere. I don’t know what it was, but I think the tasks just were not up to par. Especially when both, particularly the TSN Road Block, were very processional and contributed to the Leg being absolutely linear. And if you’ve read my TAR recaps, you know I hate linear Legs. But I don’t remember of a first Leg ever being so linear. 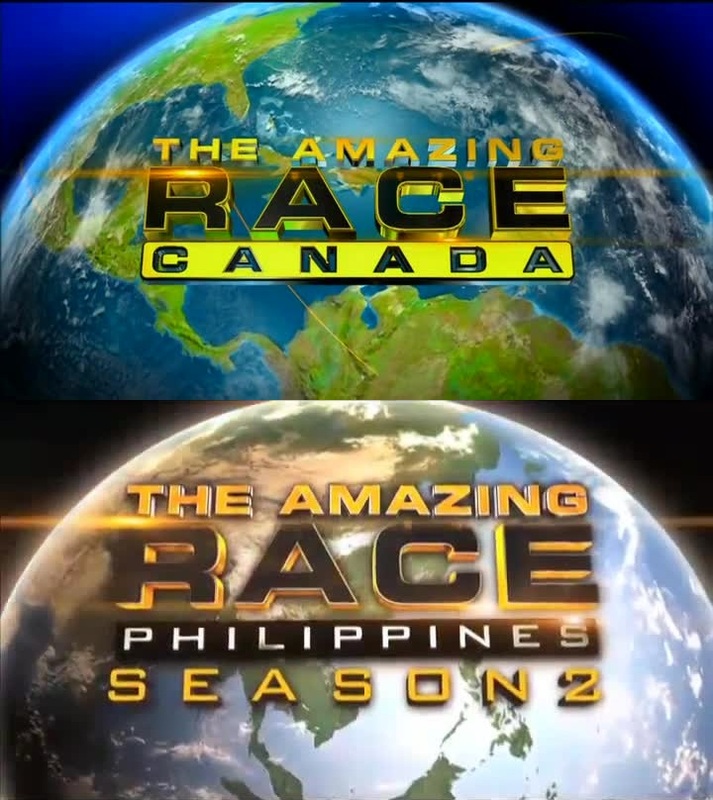 The Leg was so linear, it had to be edited like an Amazing Race Philippines episode; each task taking up a segment of the episode instead of checking in back and forth between different things. And that’s definitely not a good thing. First of all, there was no point to that starting line task when the teams needed to wait for the morning to get their next clue anyway. Like, WTF was that? They could’ve all flown on six different flights, it wouldn’t have mattered. 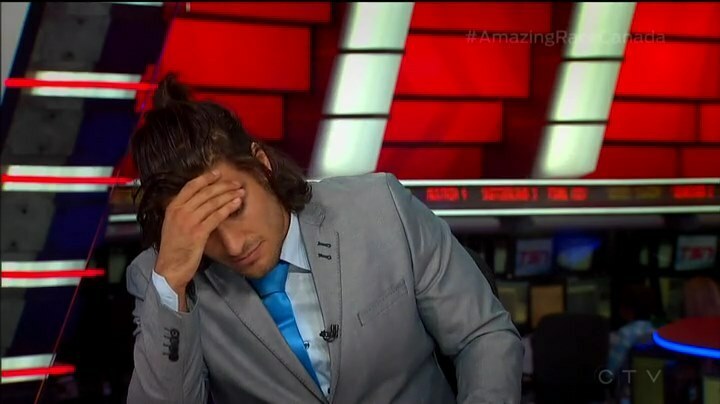 That made me realize the pointlessness of flying to another city on the first Leg when they’re staying in Canada anyway. Why not just have the Starting Line in Ontario? They could’ve saved money for those bikes and that first flight by just starting in Ontario to begin with. That extra cash could’ve been used for another (or better) tasks in this Leg instead. The word scramble at the market was okay. 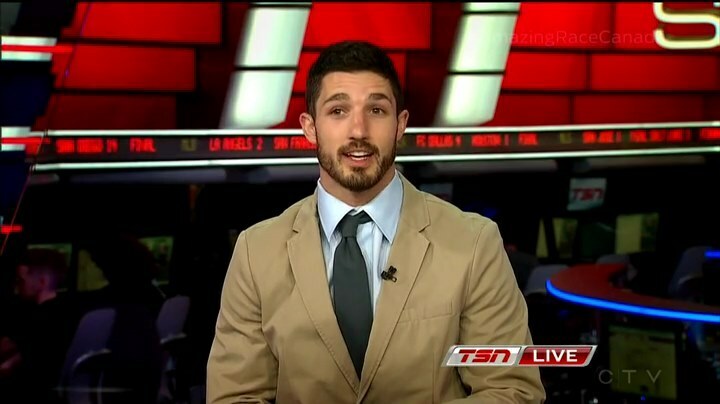 The TSN Road Block was alright. And the obstacle course was fine. But together, they made for a lackluster Leg. Plus, TAR Canada still visually looks great. But does the new title card look a little too blue to anyone else? Nic & Sabrina are fun! Sabrina especially. I am expecting a lot of great, fun, hilarious moments from them. I hope they can Race well along with providing some fun. They are the Italian Alain & Audrey! lol Susan & Sharnjit have the potential for that too. Not having read about any of the teams, I would never have guessed Susan & Sharnjit were corrections officers and physically active. So now I have big expectations from them too. I always love parent-child teams and Simi & Ope seem like a great Gary & Mallory-type team. I’m definitely rooting for them. Also rooting for Brian & Cynthia. I always want to see a nice, good ol’ married couple do well on the Race. And they’re veterans? Awesome! Tough luck for Max & Elias. I actually liked them in what little we saw. They seemed like they could have brought some good couple dynamics to the Race. And now we get to the teams that are more or less tied in my rankings this week, partly because we didn’t really see much from them. Gino & Jesse seem alright so far. They’re obviously a physical threat, but I hope they can show off some fun personality during the Race. Hamilton & Michaela have a nice pre-Race story, but it’s all about what you do on the Race. They have potential, but being only 19 apparently? That should be interesting to see. I definitely want to see Dana & Amanda go very far, if not all the way. Definitely reminds me of a Nary & Jamie (TAR20) type of team. Dujean & Leilani are exes? I hope we get to see some fun stuff from them. The previous exes team, Tim & Marie, felt too forced and maybe even scripted. So I hope Dujeon & Leilani can deliver on a real exes dynamic. Bonus if they Race well. We barely saw Nick & Matt this Leg. Neil & Kristin are just the “other” father/daughter team after this Leg. I think there’s something more down to earth with Simi & Ope than with Neil & Kristin who are apparently very accomplished athletes to the point that Neil used to work for TSN. And finally Brent & Sean. I like them and I definitely hope they are NOT Rex & Bob 2.0. That is, I hope Brent & Sean can be fun and snarky without getting bitter and pissed off. They may technically be last on my list this Leg, but I definitely like them and would love to see more from them. ← Recap: Kamen Rider Drive, Episode 35 – Why Did the Hostage Situation Happen?